Microsoft's entry in the crowded group messaging market continues to evolve. 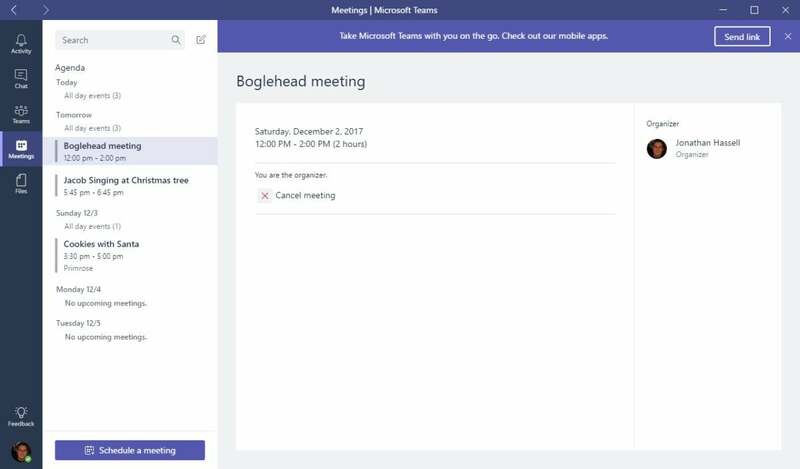 Here's how Microsoft Teams fits into the boom collaboration software market and what you need to know to evaluate it against its rivals. Microsoft launched Teams as its own take on the booming market for group messaging apps led by Slack and now also fought over by Google, Facebook and Cisco, to name but a few. 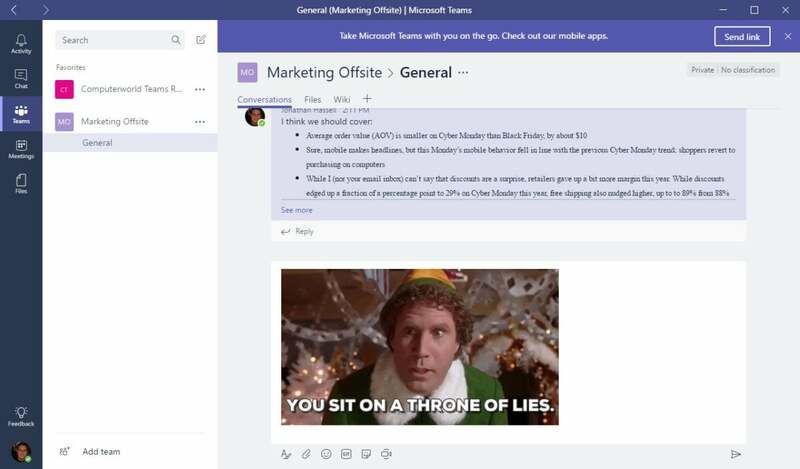 As with all team chat tools, the core aim of Microsoft Teams is to connect staff and enhance collaboration, providing an alternative to – or even replacing – email communications. Think of it as a “digital translation of an open office space,” as a Microsoft spokesperson put it. While Microsoft has effectively been playing catch up with Slack, it has quickly positioned Teams as the central hub for communications and collaboration within Office 365 – as evidenced by the decision to replace Skype for Business with Teams. In fact, it may have already caught up with its rival: a survey report from Spiceworks indicated that Teams is now more widely used than Slack and is set for faster growth over the next two years. Microsoft’s long-standing presence in the workplace with its Office suite (and of course, Windows) gives it a solid foundation to grow in the collaboration marketplace – and the overall market is very much booming. At its most basic level, Teams is a messaging tool that enables text communications between users, whether they are in the same office or work remotely. It supports group chat rooms with threaded conversations, as well as private messages between individuals. When necessary, users can jump from instant messaging to a video call at the push of a button. Getting started with Microsoft Teams. “It is a simple conversation method that most people will be able to understand,” said Gartner research director Larry Cannell. 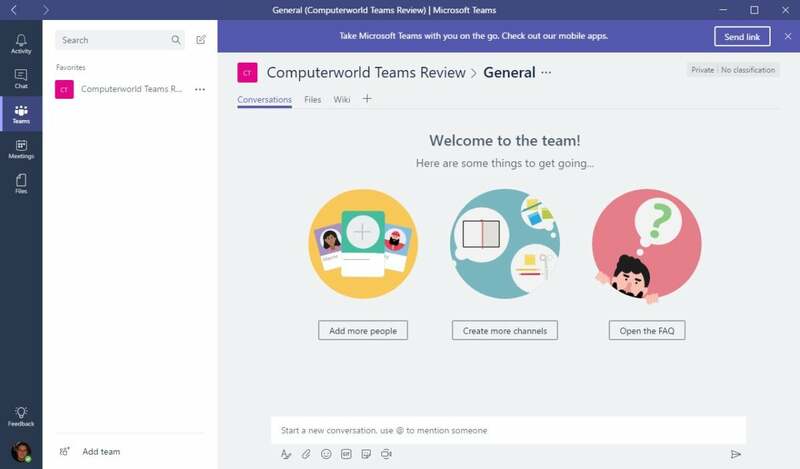 However, he notes that Teams is more than a communications tool: it also combines strong content collaboration features, thanks to integration with Microsoft’s software portfolio. OneDrive documents can be accessed and edited without leaving the app, for example. Microsoft launched its app directory in January 2018 and Teams integrates with numerous third party bots and applications including project management tools like Trello, Smartsheet and Wrike. Teams is one of several collaboration applications in Microsoft’s portfolio, with Yammer, Outlook and SharePoint all providing some overlapping functionality. Though that can lead to confusion about which tool is best for which task, Hunter Willis, solutions engineer at Microsoft partner AvePoint, said that Yammer and Teams have differing purposes and can “coexist” as separate collaboration platforms at the same company. “Organizations should use Yammer for company-wide announcements and engagement, such as HR professional development initiatives,” he said. Microsoft Teams, on the other hand, works best with smaller, close-knit groups. “You are much less likely to lose yourself in a large volume of Teams posts, which also means you will get responses from employees faster through Teams,” he said. The cloud-hosted software is available via browser, desktop app and mobile app, and will be integrated into Microsoft’s Surface Hub 2 digital whiteboards. Teams is available to Office 365 account holders on these license plans: Business Essentials, Business Premium, Enterprise E1, E3 or E5. The cheapest option – Business Essentials – costs $5 per user per month on an annual basis, while the most expensive - E5 - costs $35 per person each month. Of course, all subscriptions include access to a range of additional Microsoft applications, as well as security and compliance features within Office 365. Furthermore, Teams is also available as part of the A1, A3 and A5 licenses for students, though it is not currently included in government customer packages. Microsoft has now launched its own free option, too. In comparison, Slack offers a freemium payment plan for access to its software, with three pricing tiers for individual and business users, as well as a product – Enterprise Grid – aimed at large deployments. At first glance, the main rival for Teams is Slack; not surprisingly, Microsoft’s application was developed in response to it, said Edwards. Microsoft reportedly considered acquiring Slack in 2016, before founder Bill Gates and CEO Satya Nadella vetoed plans in favor of Microsoft building its own application. As of September 2018, some 329,000 organizations were using Teams – up from 200,000 just six months earlier – though Microsoft doesn’t break out monthly user figures. There are now 54 companies with more than 10,000 monthly active users on the platform, with BP, Honeywell and Hitachi among them. Consulting giant Accenture is the first Teams deployment to pass the 100,000-user mark. In comparison, Slack has three million paid users and 70,000 paid teams, with a total user base of eight million, thanks to its free tier. Side-by-side comparisons between competing collaboration apps can be problematic, because they tackle similar tasks in different ways. But each tool offers some key strengths. For Teams, it is the availability within certain Office 365 subscriptions for no extra fee. This makes a compelling argument for existing Office 365 users – of which there are 155 million – using Teams rather than shelling out money for a separate tool. “The question organizations are likely to be asking themselves is…, ‘Is the alternative that much better than Microsoft Teams that we want to go pay a separate subscription to go and use it?’” said Edwards. As group collaboration tools gain wider adoption, Microsoft can also leverage its enterprise roots to encourage large-scale Teams rollouts. 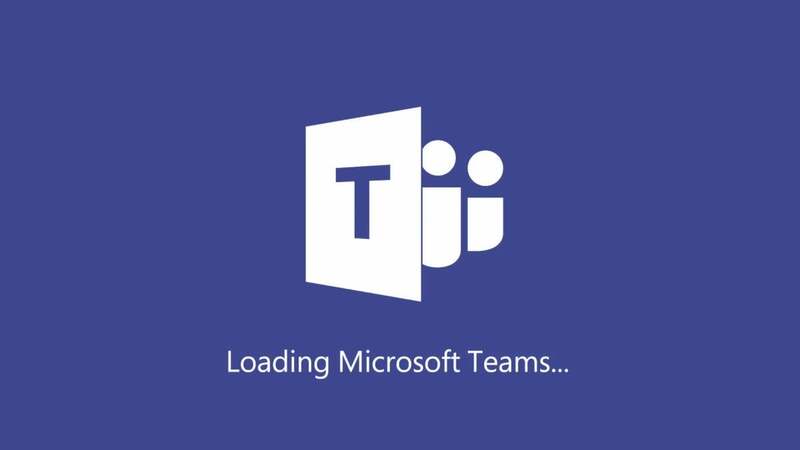 “Teams is a latecomer to chat-based collaboration software, but has the advantage of Microsoft’s years of experience in tailoring software for the corporate environment,” said Willis. Nevertheless, Slack has advantages that will better suit some organizations and users. Slack gained traction with early adopters of collaboration tools, particularly among developers. Matching this “viral” adoption is a challenge for Microsoft. Of course, Slack is far from the only team chat tool available. There are many other apps that offer similar capabilities to Teams on a variety of levels. For example, Google’s Hangouts Chat and Hangouts Meet also offer a “suite”-based approach, and are available alongside Google’s G Suite productivity tools such as Gmail, Docs and Sheets. Cisco’s Webex Teams – formerly Spark – mirrors Microsoft’s app in more than name, with a similar focus on unified communications as well as group chat, while a plethora of establish unified communication vendors and startups have thrown their hat into the ring. Despite strong vendor interest in offering team collaboration, it remains a relatively new technology for many business IT users. As with the deployment of any team chat tool, there are challenges in deploying Teams. “There is a bit of a learning curve, it is important to recognize that,” said Edwards. 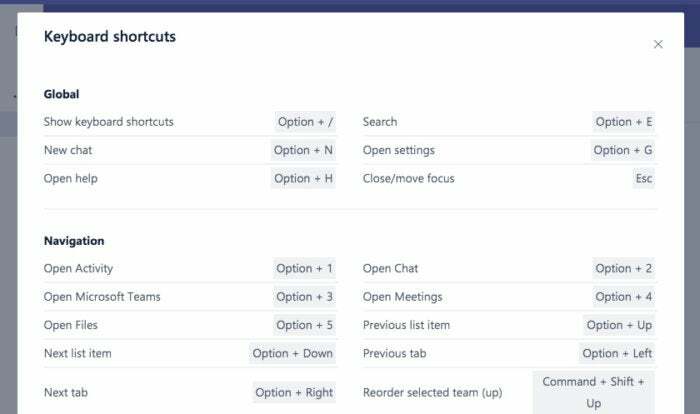 Press Alt-/ or Option-/ to see a list of keyboard shortcuts for Microsoft Teams. While some employees are eager to try new tools such as Microsoft Teams, many are more often content to stick to familiar apps and may need more encouragement to embrace a new way of working. “If you have been using Outlook as the center of your world for the best part of 10, 15 or 20 years, then moving to anything else is always going to present a challenge, unless you can see unequivocally that it is a better environment to get work done,” Edwards said. Willis said that while messaging apps can be simple to use, training is often required to get the most from a tool such as Teams. “Developing governance and security strategies and processes, then putting the organization’s weight behind proper training, are steps that many organizations overlook,” said Willis. One of the most significant developments around Teams was Microsoft’s decision to replace Skype for Business with Teams. 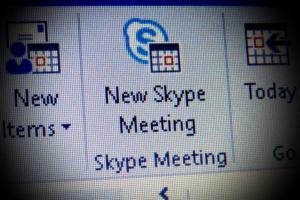 The idea is to create a “single hub for teamwork,” with Skype for Business being phased out. Skype for Business is on its way out. Gartner’s Cannell said the transition from Skype for Business to Teams should be relatively smooth. “For most companies that are using Skype for Business just for instant messaging and for their online meetings, Teams is going to be a pretty good option for them,” he said. But customers that have gone “all-in” with Skype for Business and replaced desktop telephones with the voice capabilities in the app may face more hurdles. “Those are the cases that are going to have a little bit more difficulty. But if it is for the most basic instant messaging, online meetings, audio conferencing, video conferencing, screen sharing and so forth, Teams does a pretty good job with that,” Cannell said. As with anything, he said, the sooner organizations prepare and the more they plan, the smoother the transition will go. Microsoft launched a wide range of new features for Teams in 2018, and has highlighted a variety of other enhancements in recent weeks. Cloud recording and transcriptions of audio. Cortana interactions for Teams-enabled devices, such as conference room speaker phones. In line message translation in Teams chat. Background blur for individuals on Teams video calls. Enterprise call capabilities, such as call delegation and federation, direct routing and consultative transfer. Microsoft has already announced two sets of updates to Teams in the first few weeks of 2019. The first round included new team scheduling features and mobile functionality for front-line workers, such as those working in retail or healthcare. And shortly after those updates were unveiled, Microsoft offered tweaks to Teams for Education, including integrations with student information systems and the ability for teachers to mark work from a mobile device. This story, "Microsoft Teams: Its features, how it compares to Slack and other rivals" was originally published by Computerworld.